The House of Representatives is obliged to implement the Supreme Court’s order to swear in Lord Allan Jay Q. Velasco and include his name in its Roll of Members representing the lone district of Marinduque, lawyers said. 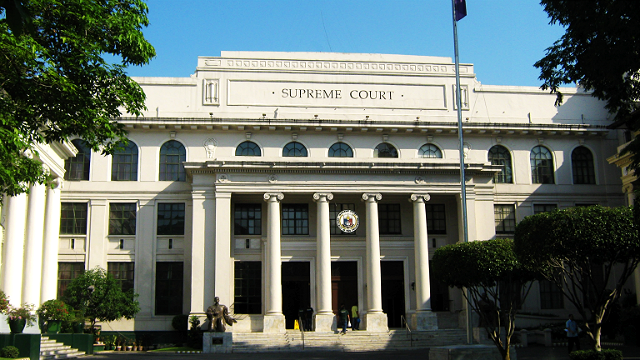 Former Integrated Bar of the Philippines (IBP) president Vicente Joyas and former University of the East law dean Amado Valdez said Speaker Feliciano Belmonte Jr. should respect and implement the high court’s ruling granting Velasco’s plea for mandamus. Early this month, the high court with an 8-1 vote, ruled that the administration of the oath and the registration of Velasco as the duly-elected congressman for Marinduque “are no longer a matter of discretion or judgment” on the part of Belmonte. Secretary General Marilyn Barua-Yap, and Reginal Ongsiako Reyes, his rival who had been disqualified as a congressional candidate by the Commission on Elections (Comelec) in the 2013 election. Belmonte and Barua-Yap “are legally duty-bound to recognize Velasco as the duly elected Member of the House of Representatives for the Lone District of Marinduque in view of the ruling rendered by this Court and the Comelec’s compliance with the said ruling, now both final and executory,” the high court said in a decision written by Associate Justice Teresita J. Leonardo de Castro. Published reports quoted Belmonte saying they have to wait for the Supreme Court decision which it has received last January 18. Joyas warned Belmonte and other officers of the Lower House that contempt proceedings could be pursued against them if they would defy the SC order. “A contempt proceeding is always a remedy available to an aggrieved party in cases of disobedience to a lawful order of the court,” Joyas said. He pointed out that Belmonte and the others could be sanctioned to pay a fine or be imprisoned, or both, if proven they have refused to implement the SC order. It pointed out that “by virtue of Comelec en banc resolution dated May 14, 2013 in SPA No. 13-053; certificate of finality dated June 5, 2013 in SPA No. 13-053; Comelec en banc resolution dated June 19, 2013 in SPC N. 13-010; Comelec en banc resolution dated July 10, 2013 in SPA No. 13-053; and Velasco’s certificate of proclamation dated July 16, 2013, Velasco is the rightful representative of the lone district of the province of Marinduque; hence, entitled to a writ of Mandamus,” the SC ruled. “Any ruling deviating from such established ruling will be contrary to the Rule of Law and should not be countenanced,” the SC warned.